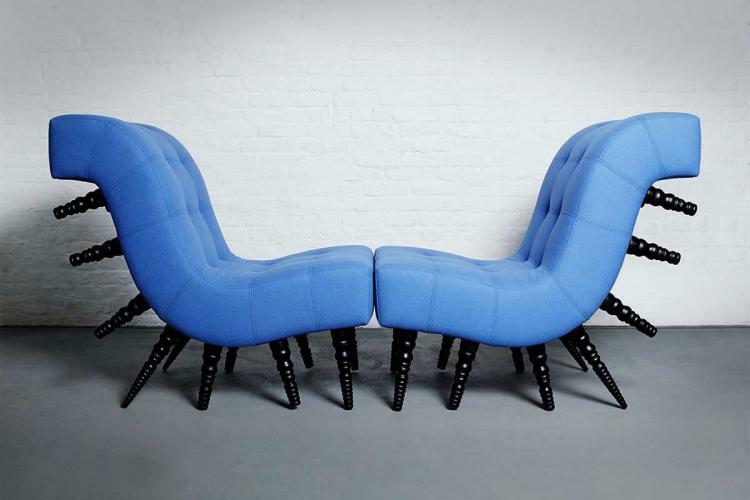 The Milli Chair is a chair that resembles a millipede as the bottom of it is filled with legs and can be placed in two different positions depending on what side you would rather be pointing up. 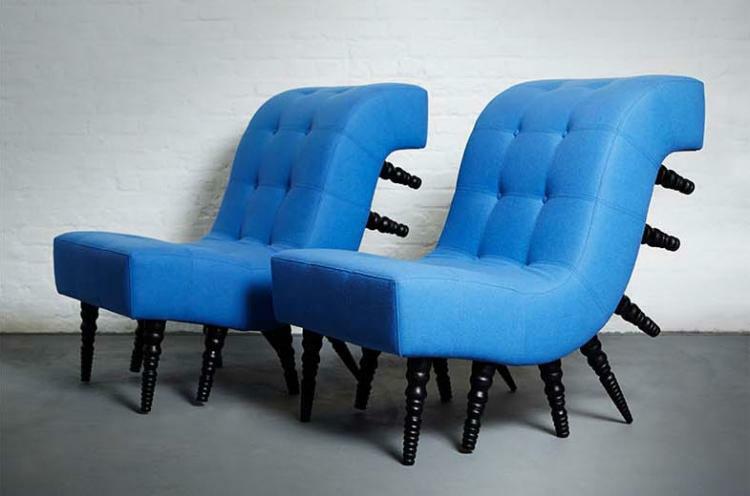 Designed and created by DuffyLondon a design obviously based out of London that creates unique furniture, the Milli Chair can be used as a single reversible chair or coupled with another Mille Chair to be used as a chase lounge (buy 2 and get $781 off). 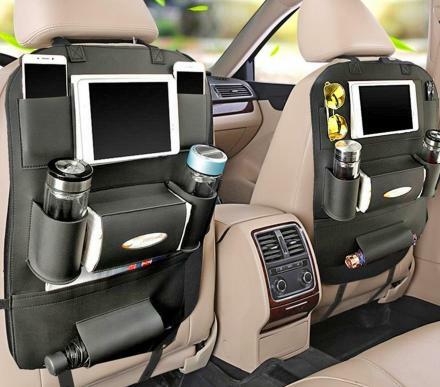 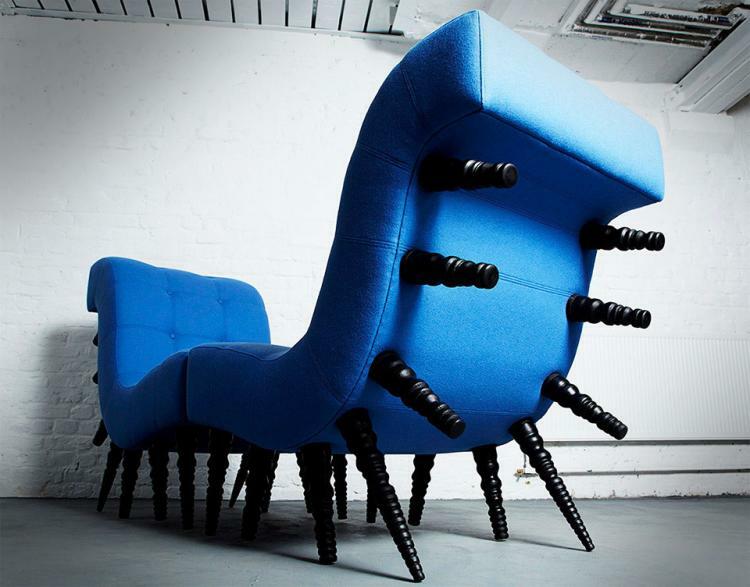 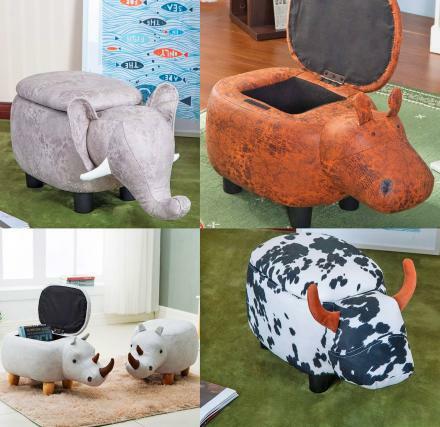 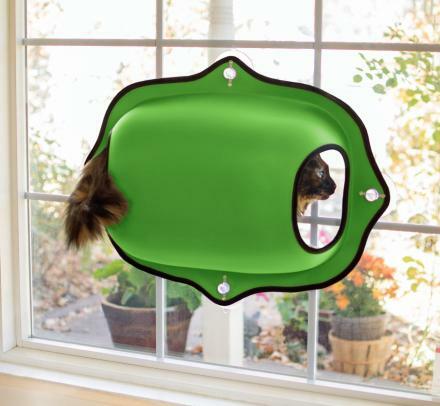 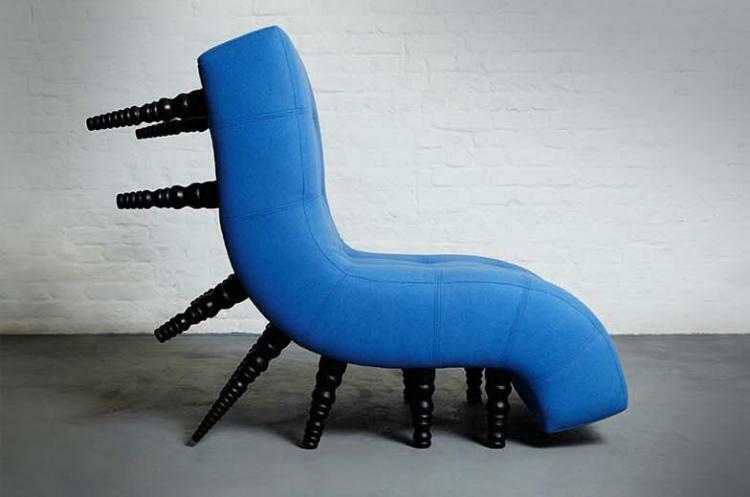 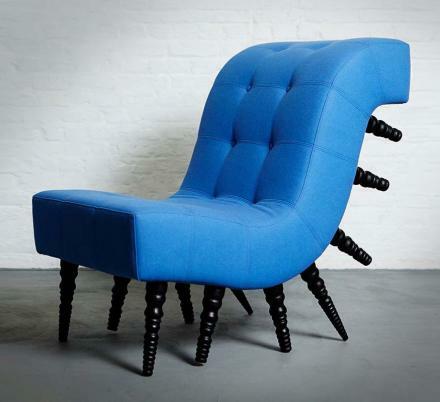 The millipede chair is sure to give your room a creepy, dark, yet extremely unique look and that will finally give you an excuse to throw that torn up lazy-boy in the garbage that is most likely filled with farts and Cheeto crumbs. 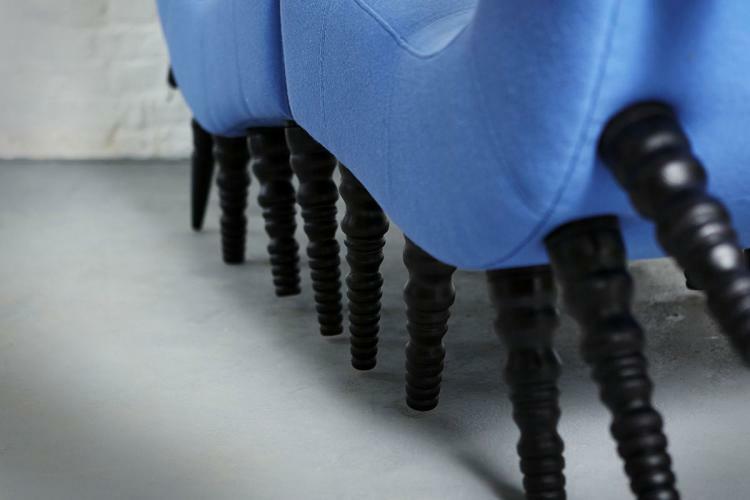 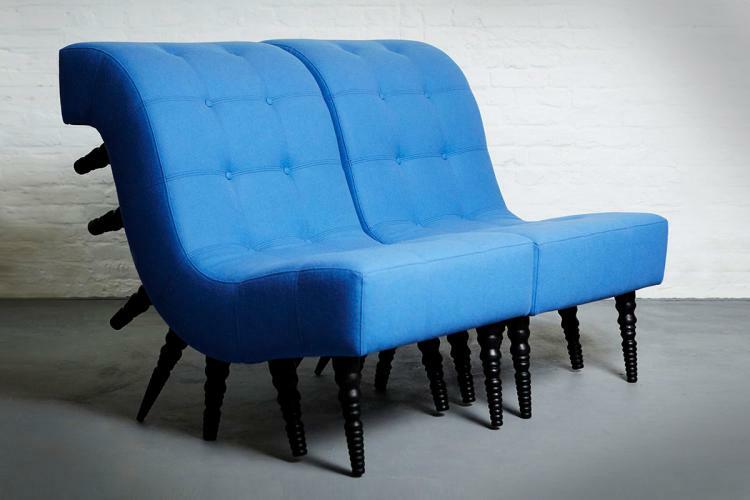 The Milli Chair is made from wood with 100% wool fabric, is available to be made with a custom finish and upholstery, contains 14 legs on the bottom of it, measures 2.1 feet wide x 3.3 feet long x 3 feet tall, and is limited to only 20 editions so you better act fast!